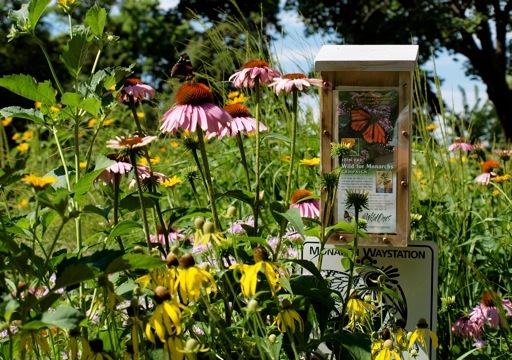 A day-at-the-beach Wild Ones gardening session is planned at the Naturescape Lakeside Garden. We’ll talk about native plant gardening with lakeside park patrons as we go about the usual gardening. A nearby picnic table will be set-up with Wild Ones information and cool beverages**. 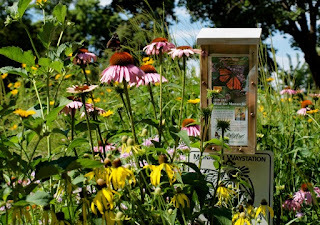 We will also tour the gardens, see what's in bloom and listen to your ideas for new plants that would further enhance this 17 year-old native planting. Bring gardening gloves and your favourite weeding tool. You may want to bring your swimsuit and a picnic lunch. Water shoes suggested since we collect lake water for recent plantings. Feel free to join us anytime - better late than never! ** If you can - bring your own cup or bottle for lemonade, ice tea or water.